Celery can be grown better in high or low land. Celery plants are categorized as a vegetable, celery plantations in Indonesia are in Berastagi, North Sumatra West Java, scattered in Pacet, Pangalengan, Cipanas, which has cool temperate regions. Celery is bushcricket plants, wet tiered stems, can basically be divided into several types, among them can be eatable tuber celery. In Indonesia celery leaves used to complement the vegetables (eg. For soup). 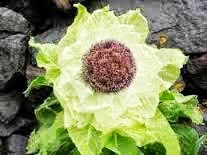 For the ancient Romans celery plants used as decorative wreaths. According to the history of botany, celery has been used as a medicinal plant scientifically in 1942. 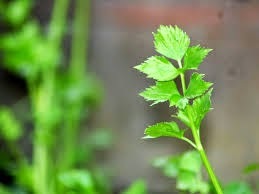 There are two way planting celery, through seeds or removal of baby clump . How to make: Squeezed with sufficiently mineral water and then filtered. How to use: Drink 3 times a day (2 tablespoons each). 2. Eye medications which has efficacy to overcome of dry eye. Ingredients: 2 celery leaves, spinach leaves 2 sprigs, 1 sprig of basil. Method: All the ingredients are pounded together. Brewed with 1 glass of hot water then filter it. How to use: drink as usual. How to use: for Consumption as salad every meal. Calories as much as 20 calories, 1 gram protein, 0.1 gram fat, 4.6 grams carbohydrate, 50 mg calcium, phosphorus 40 mg, 1 mg of iron, Vitamin A 11 mg.
63% part of celery can be consume. Celery leaves contain many apiin, in addition to the diuretic substance is useful to increase the amount of urine.